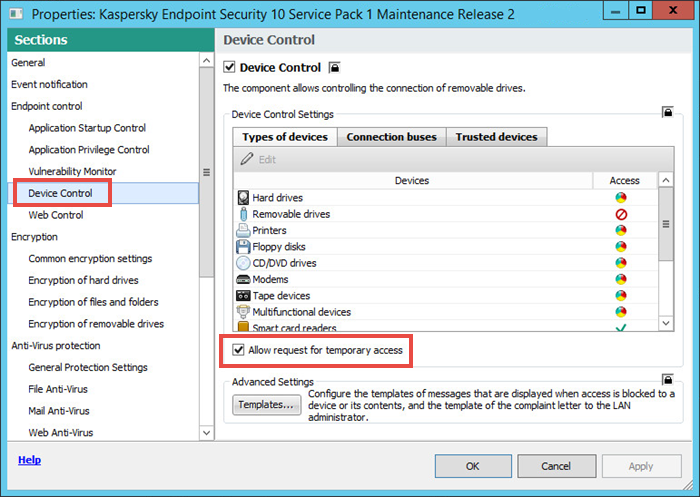 You can get temporary access to the locked device if the Kaspersky Security Center policy is active for Kaspersky Endpoint Security 10 for Windows. The check box Allow request for temporary access must be enabled in the policy properties. Open Kaspersky Endpoint Security 10. Open Properties and click Endpoint Control → Device Control. Click Request access to device. Select the device you want to access and click Get access code. В In the Access duration field, specify the time for which you want to have access to the device. Save the access keyin the *.akey format. Send the generated key file to the Kaspersky Security Center 10 administrator. Receive the file with the access code from the administrator. 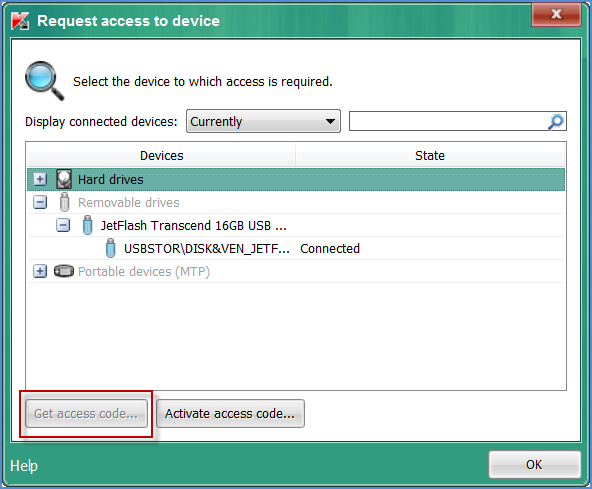 In the Request access to device window, click Activate access code and select the received file. Wait for the access confirmation notification and click OK.